In their summary of facts supposedly supporting the premise that global warming is already having an impact on polar bear populations (discussed previously here, here, and here), biologists Ian Stirling and Andrew Derocher (2012:2700) include a list of incidents of warm winter weather and/or “rain on snow events” that have led to the collapse of polar bear maternity dens and ringed seal birthing lairs. 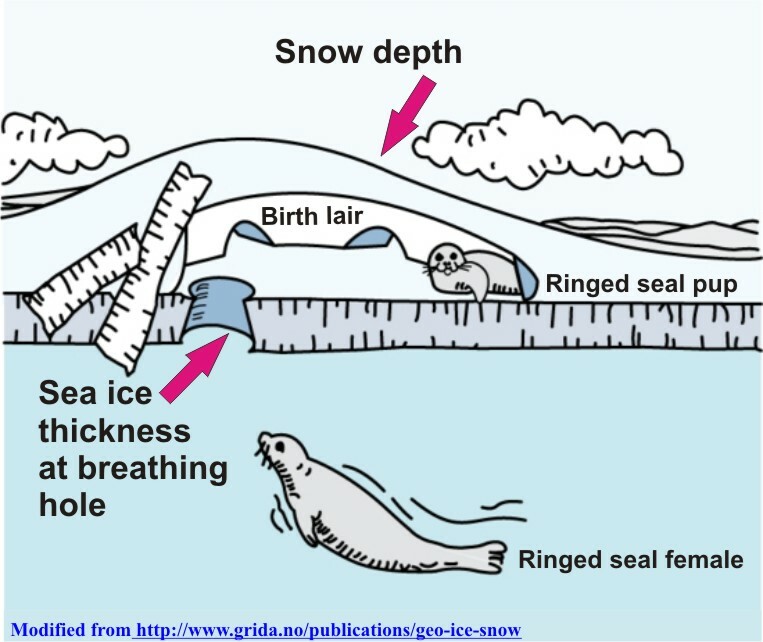 However, their so-called evidence for polar bears and ringed seals having a proven vulnerability to these events comes not from scientific studies but what they admit outright are anecdotal reports. They describe four incidents, including one case of a maternity den collapse (involving a 6 yr old, probably first-time mother and two, 3-4 week old cubs) in the southern Beaufort in 1989, apparently caused by a bit of warm weather followed by heavy snow in late January (a picture of the dead bear is included, see below, just so we don’t forget that a bear died).